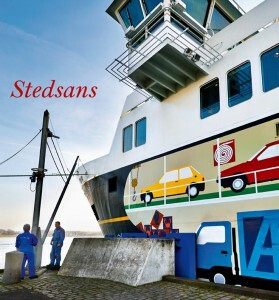 On the occasion of the 50th anniversary of the Danish Arts Foundation published “Stedsans – 25 inputs to the art out there” in October 2014. In the book, the focus is on art in public spaces and through reduction in the 25 works from 1943 to the present day, the book offers insight into the different approaches that have helped to shape the art, as we can see in the public domain in Denmark the day today. In the book the discussions and professional considerations that have arisen and arising in connection with art are called into question . The book is edited by Camilla Jalving as art historian. Indbinding: Bog, indbundet Udgivet:10-10-2014 Udgave:1.